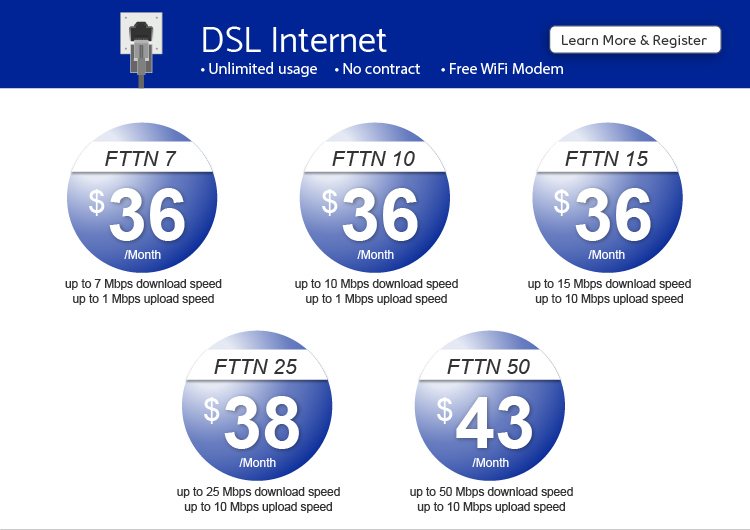 *World-Link DSL Internet Service is currently available in Ontario and Quebec; World-Link Cable High Internet Service is currently available in Ontario; Services are subject to technology permitted. Please check Service Availability for your area. Orders are subject to verification of Service Portal. *FTTN (Fibre to the Neighbourhood) - Fibre optic wires feed directly into a central neighbourhood connection. From there, copper wires are connected to your home. *Cable Internet – transmitted by the local cable service provider utilizing space on a designate television channel to perform the data transmission. Upstream and downstream transmission allows the cable signal to reach the recipient via a cable modem. *Promotional offers apply to New Customers only. Some conditions may apply. *Internet Speed may be affected by location, time of use, line, wiring and equipment quality, computer software and applications installed, and other factors. *Rates and promotions are subject to change without notice. *Unlimited Usage is subject to CRTC regulations.